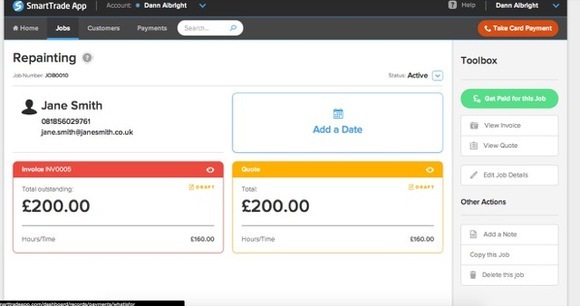 One of the most useful features of the SmartTrade web dashboard is that you can quickly and easily take card payments over the phone. Sometimes you’ll finish a job and your customer won’t be at home. Or they won’t have enough cash on hand to pay right away. Or they won’t feel comfortable using your mobile to scan their card. No problem! Just have them call you when you’re back at the office. Whenever you’re on the web dashboard, you’ll see an orange button that says “Take Card Payment.” Just click this button to get started. 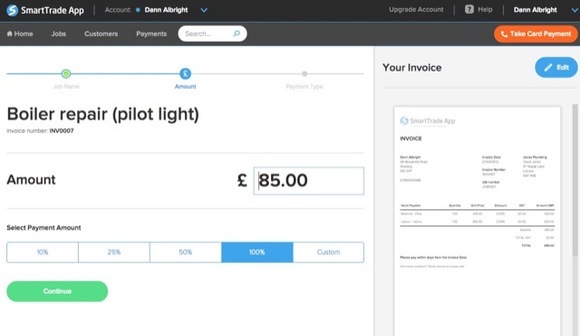 The next page asks you what the payment is for; you can either choose a job that’s already been entered into your SmartTrade account, or you can add a new job. After that, enter the amount that you’d like to put on the card, and select whether you’d like to create an invoice. 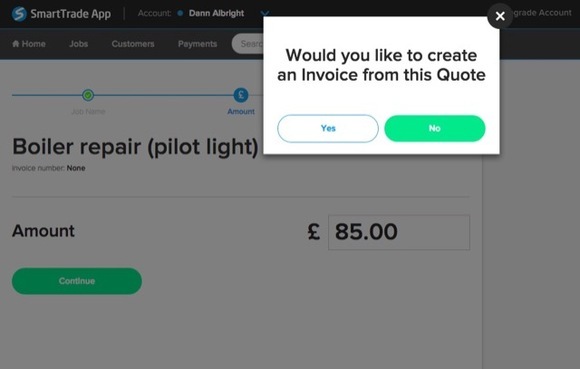 If you select “Yes,” you’ll be taken to the invoice page, where you can select the amount of the invoice total that the customer will pay, as well as make any necessary edits to the invoice. 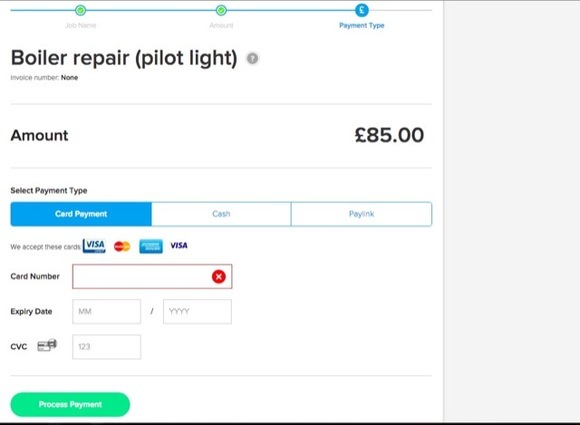 If you select “No,” or after you update the invoice, you’ll be taken to the card payment screen. All you have to do then is have the customer read you their card number, expiry date, and CVC (the three-digital security code on the back of the card). That’s all there is to it! Once you’ve done it a time or two, it’ll only take a moment. 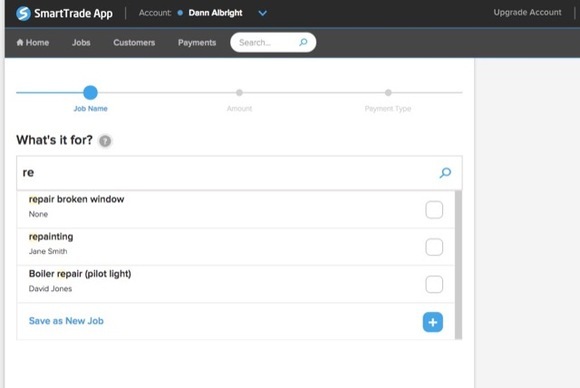 With the web dashboard, there’s no reason to stress about getting payments—all you need to do is pick up the phone! Why not try it today? You can sign up for free.